Protecting staff from illness or injury in the work place can have benefits that go far beyond simply complying with legal ‘duty of care’ responsibilities. The way in which organisations look after their staff can help to significantly boost corporate profiles and employer reputations in the market place. But that’s not all. Good health and safety practices frequently go hand in hand with high levels of productivity, quality and performance. Research shows that taking care of staff makes them more inclined to look after an organisation’s interests. In other words, the safer and more confident and valued your workers feel – the more diligent and motivated they will be. For some organisations, however, implementing an active risk management strategy poses a significant challenge: how do you avoid reducing efficiency by over burdening staff and managers with health and safety processes, systems and unnecessary paperwork? The aim of the game is to implement appropriate, proactive protection for an operational environment, without bureaucracy or huge cost. And that’s where two-way radio solutions can play a critical role. Today’s sophisticated two-way radios and their supporting applications are getting ‘smarter’. Organisations are switching from traditional thinking and enabling comprehensive procedures and behaviours to be implemented and enforced in a streamlined and unobtrusive manner through the two-way radio device. Push alert data notifications automatically from control devices to ensure users are aware of status changes on surrounding machinery or systems. 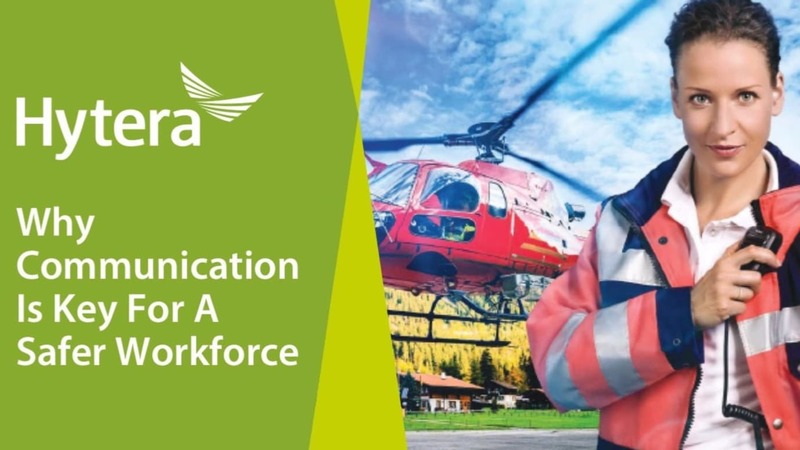 Poor communications is one of the biggest obstacles health and safety managers face when trying to enable a streamlined health and safety system. Information can be exchanged quickly and in real-time so decisions can be made fast, using the best information available to proactively prevent mishaps. As a safety-oriented technology, two-way radio offers one of the most cost-effective options available to organisations looking to keep workers safe from harm, many workers already carry a device, unleash the safety potential with a Hytera communication solution. If you’d like more information on how radios can enhance the Health & Safety at your business, download our More Than Just a Radio Whitepaper.